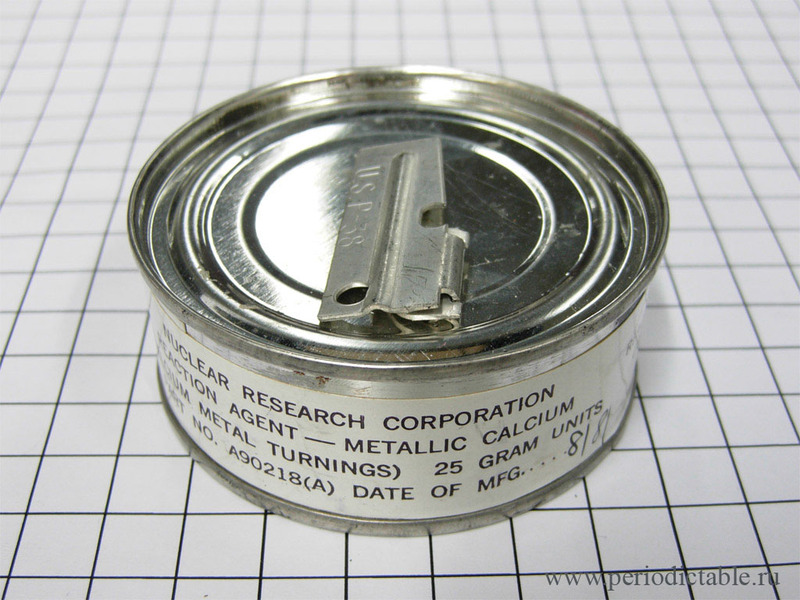 Calcium machined piece (sealed under vacuum). 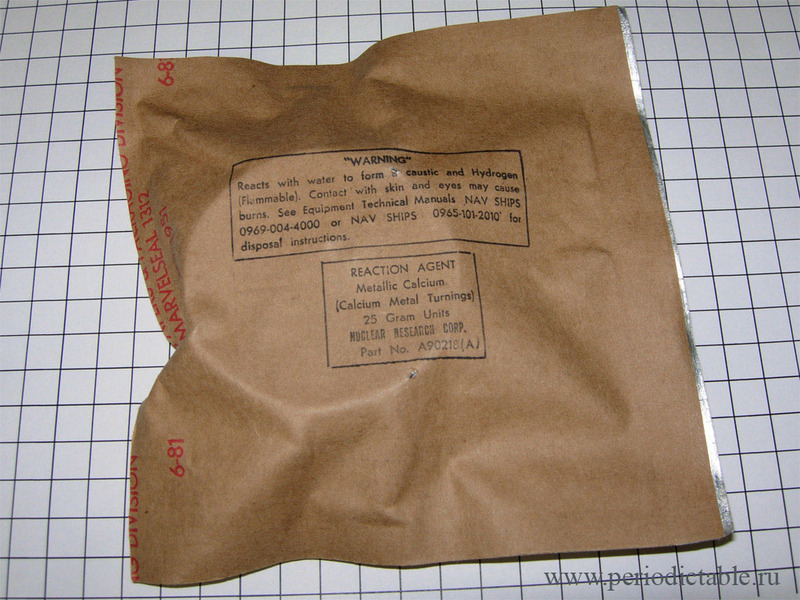 Calcium hydrogen generator and inside the package. 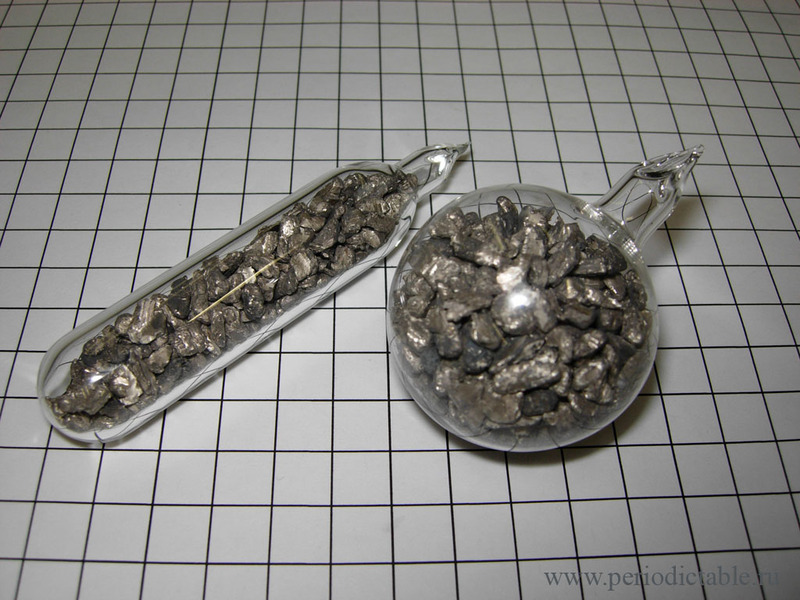 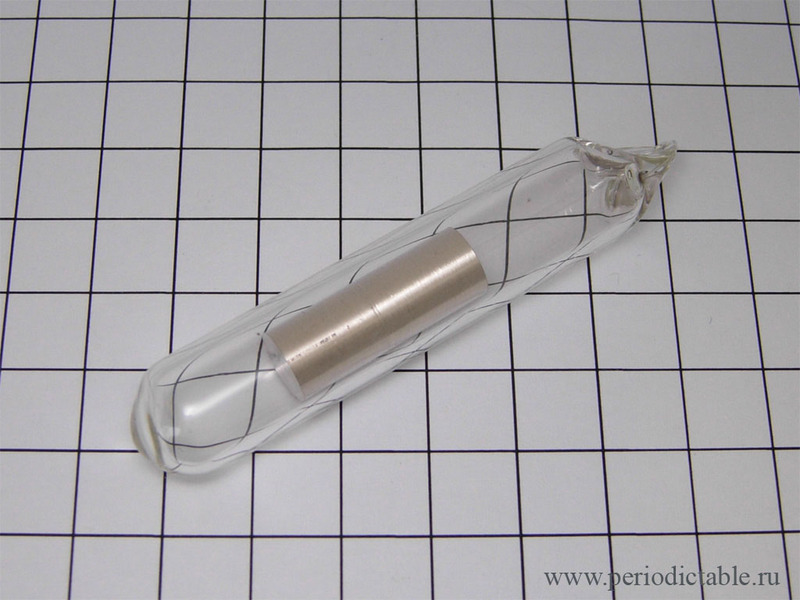 Inside the tin (Ca granules, resealed in glass ampoules. 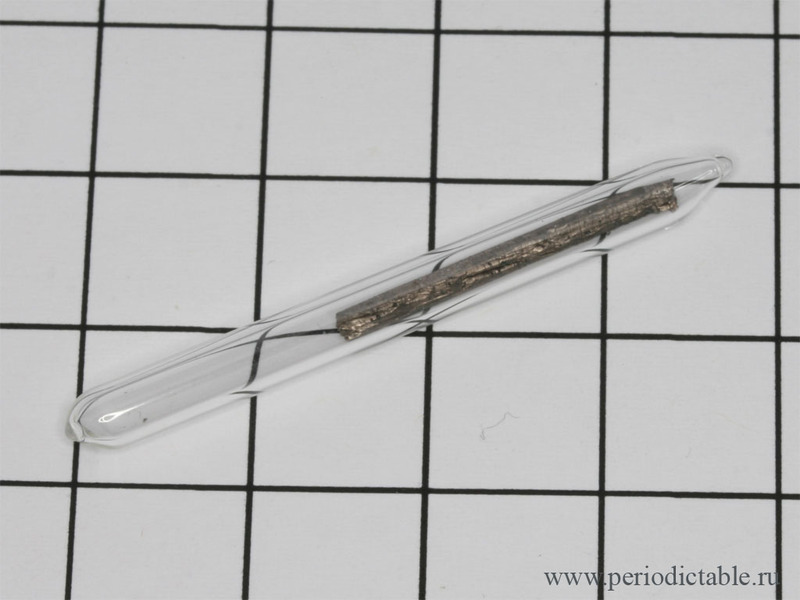 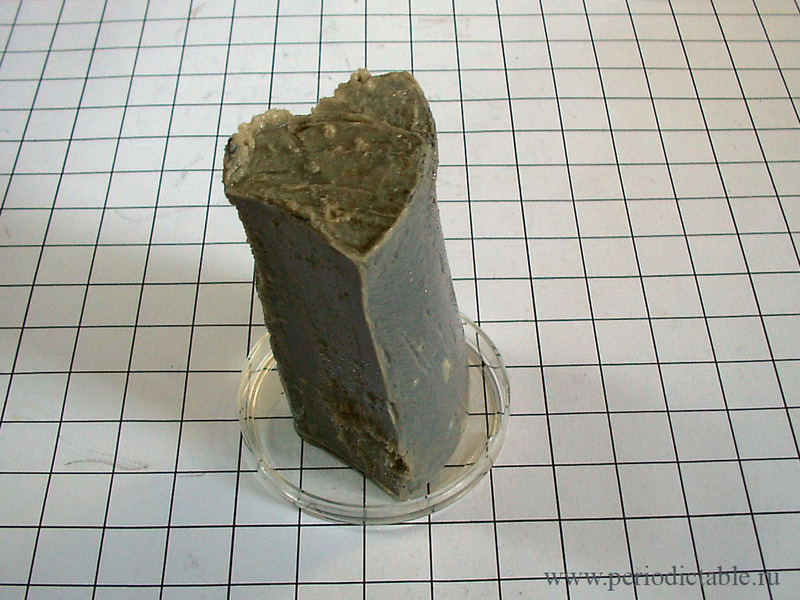 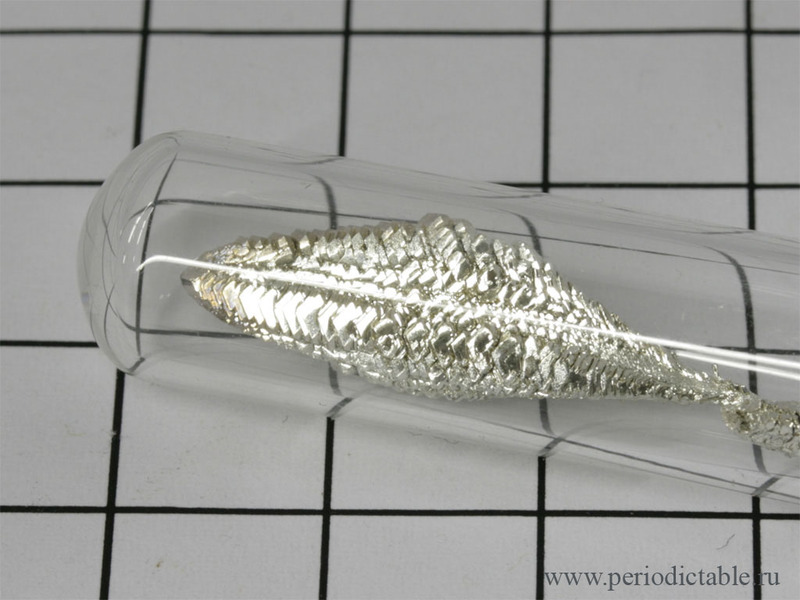 Calcium sample in the small ampoule (sample from demonstration set).